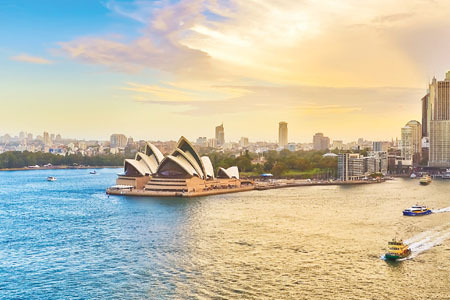 Beaches to “barbies,” kiwis to wallabies, Outback to ocean…where to begin in these two incredible South Pacific countries? Australia and New Zealand calls to both the adventurous as well as those seeking a little relaxation. As you draw closer, Uluru seems to rise from the desert floor. This dramatic symbol of the Outback, sacred to the Aboriginal people of the region, has a profound effect on all those who visit. Watch as the hues of this giant sandstone formation change as the sun travels across the sky. Take the time to explore the base and raise a glass of champagne as you toast the end of an incredible day on tour. Cairns is a regional city in the far north of Queensland, Australia. The city was founded in 1876 and named after the then governor of Queensland. The region of Cairns ranks as the 4th most popular destination for international travellers in Australia. The city serves as a gateway point for those visiting the Great Barrier Reef. Cairns is also surrounded by rainforest, including the world’s oldest, the Daintree Rainforest, which lies just two hours north. This is a city in the North Island of New Zealand and is the largest and most populous area in the country. Roughly one third of New Zealand’s population resides here, dating back to the year 1350 when the Maori people founded the land which is known for being rich and fertile. Auckland is famous for its wonderful parks, stunning nature, and volcanic fields as well as rich culture, wonderful festivals and great quality of life. Rotorua is a city on the southern shores of the lake of the same name. Located in the heart of the North Island, 140 miles southeast of Auckland, the area is known for its geothermic activity and features impressive geysers and amazing hot mud pools that are greatly enjoyed by both domestic and international tourists. Australia is well known for its wines, particularly its bold reds. It is the fourth largest wine exporter in the world, and has many extremely good varieties, such as Shiraz, Cabernet Sauvignon and Merlot. Don’t leave Australia without bringing home some marvellous wine to share with family and friends. Experience one of the seven wonders of the natural world when you climb aboard a high speed catamaran and set off for the Great Barrier Reef. As the world’s largest living organism, you’ll find over 2,800 individual coral reef systems which are home to amazingly diverse marine life. Their bright colours look remarkable against the turquoise waters, and the boat reveals it all. Jump in the water to snorkel and really experience the Reef in an immersive way! Stroll along the walking trails, relax on the beaches, or just watch the fish and sea turtles swim past from the pier. Travel from Auckland to Greymouth on New Zealand’s South Island’s west coast. The TranzAlpine train is said to be one of the most scenic train rides in New Zealand and perhaps even the whole world. The journey runs once a day with an approximate travel time of 4 1/2 hours of sheer magnificence. There’s lots to get into here! This region of New Zealand is on the west coast of the South Island. It’s known as glacier country and is a UNESCO World Heritage area, which means that it is a world treasure and is carefully protected and preserved for future generations. It features many fantastic natural attractions one can take part in, such as glaciers, beaches, wetlands, lakes, mountains and national parks. Travel and change of pace bring new vigour to the mind. As you prepare to travel ‘down under’ to Australia, enjoy a casual dress style and be sure to pack comfortable walking shoes! It is recommended to take light or medium weight clothing during their summer months (December through April) and medium weight clothing the remainder of the year. In Australia, Aboriginal art and artifacts are very popular choices for souvenirs. You'll find the best opals in the world in Australia. Wines are abundant in the land down under and not to be missed! In New Zealand, look for jade carvings and jewellery, luxurious wool products, art and of course, wine! When Travelling in New Zealand, it’s the rugged natural beauty that stands out: spectacular glaciers, picturesque fiords, endless coastlines, steamy geothermal activity and so much more. 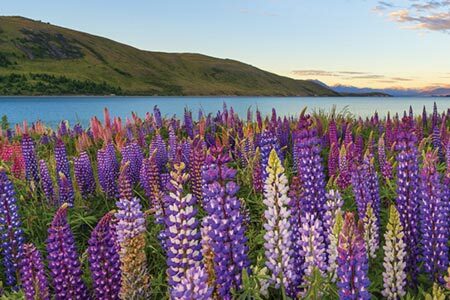 Its breathtaking landscapes combined with its unique Maori culture, friendly cosmopolitan cities and fabulous food and wine comprise the two remarkable islands the “Kiwis” lovingly call home. 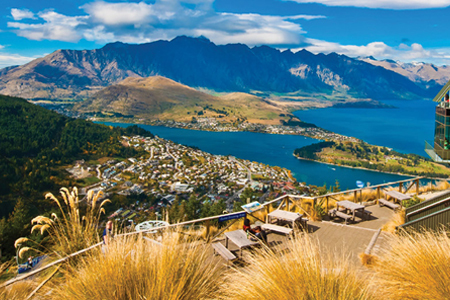 New Zealand, a haven for those seeking peace, rejuvenation and relaxation, also offers a veritable playground for the adventurous. The temperate climate makes it ideal for year-round New Zealand adventures. G’day, every day, Australia! 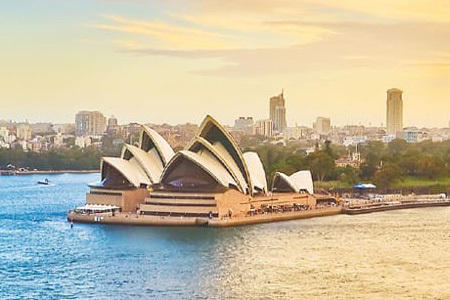 Beaches to “barbies,” koalas to wallabies, Outback to ocean…where to begin your Australia tour on this island-country-continent? Travel in Australia and you'll find unique wildlife and dramatic landscapes, no doubt. 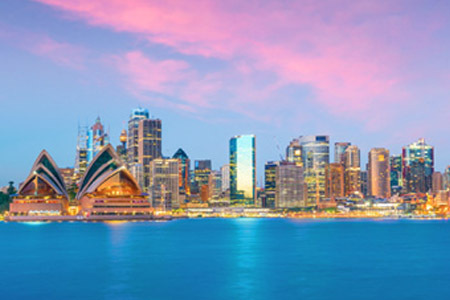 Or perhaps the sun-kissed Harbour City of Sydney, Melbourne’s art scene or Barossa Valley’s world-class wineries. 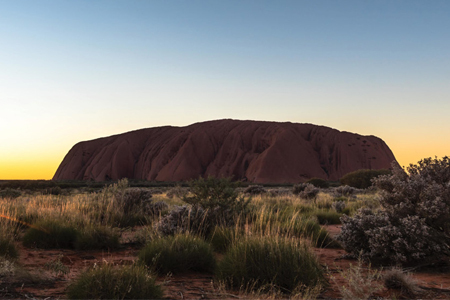 Go as far back as Aboriginal life in places like Ayers Rock and Alice Springs to discover how to survive in the bush, throw boomerangs and play a didgeridoo. Whatever your fancy, Australia welcomes you. For hundreds of years Fiji has attracted dreamers, adventurers, outdoorsmen, romantics and anyone else looking for paradise. This archipelago is made up of some 330 islands, about a third of them inhabited. There are two main islands: Viti Levu and Vanua Levu. In 1643, Abel Tasman, a Dutch explorer, was the first European to catch a glimpse of the islands. The British colonized Fiji in 1874. Even before gaining independence in 1970, it became the ultimate holiday destination, due to its beautiful surroundings and warm year-round temperatures. Fiji travel may seem far away, but it’s the perfect addition to your Australia and New Zealand adventure.